Point Roberts, South Salem, New York � December 31, 2010 - Investorideas.com, a leader in cleantech stock research tools issues new solar stocks commentary from solar contributor, J. Peter Lynch. 2010 was certainly a year to remember. It had its ups and it had it downs, but in the end it was up an average of 13.87% (averaging the three major indexes � see table below) that is a far better than the average year and despite a constant barrage of terrible news the market continued to climb its �wall of worry�. With everyone worrying about jobs and the economy the year seemed to be a never ending sequence of one bad set of news after the other. But if there is one think I have learned over the years is NEVER to listen to the talking heads on TV or to the hundreds of �experts� all over the internet who tell you what is going to happen tomorrow based upon what has happened today. That is silly and also, more importantly, impossible. No one can know what is going to happen or why it is going to happen, if you pay close attention you will eventually see that everyone is clearly guessing and guessing is NOT one of the tools that a successful investor employs. Let me give you a totally NON logical example that will make it clear that guessing and perhaps "logical" are not really good tools for an investor. I think I can safely say that the top topics for 2010 and the ones that are on everyone's mind are: jobs, the economy, the housing crisis and the persistent recession as it drags on. So, given that background, what do you think were the top 3 market sectors in 2010 in terms of returns for investors? Give up? Can't even guess? All of them are consumer related and we all KNOW (for sure?) that this is a terrible recession and that the economy is in bad shape and that it would be impossible for consumer related areas to do well, right? Wrong! They not only did well they were the best 3 areas. What we can learn is that an investor has to STOP thinking they KNOW what "should be" given the circumstances as the investor sees them and realize that the most important thing is NOT what you think should be but "WHAT IS". If umbrella sales are going thru the roof during a massive drought - forget about what you "know" - BUY umbrella stocks! Now that you know the three best areas for investors in 2010, what was the worst area for investors in 2011? The worst area for investors in 2011 was the solar sector, specifically the PV sector that we follow closely it was down and average of 14.6% in a very good year (up 13.87% on average) for the market. Based upon this fact, it would be terrible to invest in this area for any sane investor? Correct? Well in general, yes. If you bought each of our solar stocks you would have been down approximately 14.6% for the year. However, if you bought the "best" of the solar stocks - our solar seven, you would have been up an average of 42.94% more than 300% better than the general market averages. Back in the beginning of 2010 I explained that we were rating all of our solar stocks and that the seven strongest stocks – later named – “The Solar Seven” were the strongest stocks among the industry. My rating system is a proprietary combination of various relative strength measures, technical measures and some fundamental components. What can we learn from this amazing performance in a terrible solar market? What we can learn is that there are always stocks going up somewhere, even in a terrible market and if you select the “strongest” stocks in a given market segment you will, on average, do quite well. Even if, they are umbrella’s in a drought – regardless of what you “think” you know, always remember that “what is, is” and always buy the strongest stocks in a sector or market. You may not always know “why” something happens, but you will, on average, do much better than most investors and most likely better than the market. Disclaimer: The views and opinions expressed in the research published are those of the individual companies and writers and not necessarily those of Investorideas.com� or any of the industry sector portals. At the time of publication, writers may hold positions in the stocks or companies mentioned. Research other solar with the renewable energy stocks directory; a global stock directory featuring over 1100 green stocks. Investors also have the option to access the directory as part of the Investor Ideas Membership premium content that currently features an additional 10 stock directories, including the water stocks directory and all cleantech stock directories. Investing In Water Podcast: The investing in water podcast features audio interview with some of the sector's leading experts and fund managers. With markets and investor sentiment changing daily- it is more important than ever to stay on top of key trends! Gain Exclusive Insight on Leading Sectors, Global Trends, and Insider Trading Ideas, News, Articles and Investor Ideas Members only Restricted Content including the water stocks directory, environment stocks and renewable energy stocks directory. LITTLE FALLS, NJ - December 30, 2010 (Investorideas.com Newswire) - mPhase Technologies, Inc. (OTC.BB:XDSL) announced today that it will recommence active efforts in January of 2011 to secure federal funding for its scalable smart reserve cell technology, one of the line items included in the Fiscal Year 2011 Defense Appropriations bill that was passed in the United States House of Representatives. Scalable Smart Reserve Cell Technology was listed to receive funding as part of the omnibus appropriations bill that failed to achieve a bipartisan compromise in the United States Senate in December of 2010, as part of the budget for the current 2011 fiscal year. Nevertheless, the Company is actively seeking to have such line item funding reintroduced in January of 2011, as part of early consideration in a defense appropriations bill for the 2011 fiscal year, and it is anticipated that it should be a high-priority item for the next Congress to augment to the temporary resolution that is currently funding the U.S. government. "We are encouraged that the prior Congress has recognized the importance of this technology," said Mr. Ronald Durando, mPhase's President and Chief Executive Officer. The bill that was passed by the House of Representative in the last Congressional session is the first time Congress specifically designated funding for this type of technology. The Company continues to believe that it will be well positioned for a defense appropriations line item in the next Congress that convenes in January of 2011, given the company's leadership in the field. The Company has successfully delivered to the United States Army under a Phase II STTR grant a prototype of its Smart NanoBattery. "We believe that the successful delivery of a prototype of a first of its kind reserve battery designed for backup power for critical mission computer memory is vital in strategic weapons systems and sensor networks," said Durando. The company is positioned to custom tailor its Smart NanoBattery for a variety of military subsystems and critical mission commercial products. The Company is in the process of applying for new Phase I grants under both STTR and SBIR programs promulgated by the United States Department of Defense and the United States Department of Energy, as well as National Science Foundation grants. In addition to the Smart Surface technology, mPhase recently introduced its first product, the mPower Emergency Illuminator, an award winning product designed by PorscheDesign Studio and sold via the mPower website: http://www.mpowertech.com. More information about the company can be found at http://www.mPhaseTech.com. DALLAS, TX - December 29, 2010 (Investorideas.com renewable energy/green newswire) - EVCARCO (OTCBB: EVCA) is pleased to announce that the Company has signed a three year executive agreement with Mr. Mack Sanders, who was recently appointed CEO by EVCARCO's board of directors. Mr. Sanders will be mainly responsible for the Company's roll out of its retail franchise model throughout the United States for its environmentally friendly vehicle product line as well as overseeing the day to day operations of the Company. Mr. Sanders comes to EVCARCO with a strong background in the retail and wholesale automotive industry working in retail locations for Lincoln Mercury, Oldsmobile, and Mercedes. Mr. Sanders started his professional career in 1982 working as a retail sales professional for Pioneer Lincoln Mercury in Lubbock, Texas for their pre-owned vehicle division. Mr. Sanders played a key role in the 1980s in helping develop and maintain the pre-owned vehicle retail locations for Giles Volvo in Houston, Texas. After moving back to Dallas in 1990, Mr. Sanders entered the dealer to dealer automotive wholesale business permanently, working for over 15 years with David Jurecki where to this day, Mr. Sanders has cultivated long standing accounts with automotive franchise owners throughout the country. "I am excited to join EVCARCO and bring my knowledge and expertise in the retail and wholesale operations, inventory management and new car franchise business, which will enable EVCARCO to build its own franchise brand for environmentally friendly dealerships," stated Mack Sanders, CEO of EVCARCO. "Mack Sanders brings a strong history of automotive expertise to our management team, which will enable us to quickly achieve key milestones in 2011," stated Nikolay Frolov, Chief Financial Officer and Director of EVCARCO. EVCARCO (OTC.BB:EVCA) (Pinksheets:EVCA) (www.evcarco.com) is an automotive retail group dedicated to deploying a franchised coast-to-coast network of environmentally friendly dealerships and vehicles. Safe Harbor: Statements regarding financial matters in this press release other than historical facts are "forward-looking statements" within the meaning of section 27A of the Securities Act of 1933, Section 21E of the Securities Exchange Act of 1934, and as that term is defined in the Private Securities Litigation Reform Act of 1995. The Company intends that such statements about the Company's future expectations, including future revenues and earnings, technology efficacy and all other forward-looking statements be subject to the safe harbors created thereby. The Company is a development stage company who continues to be dependent upon outside capital to sustain its existence. Since these statements (future operational results and sales) involve risks and uncertainties and are subject to change at any time, the Company's actual results may differ materially from expected results. Disclosure, Disclaimer/ EVCA is a paid advertising client on Investorideas.com and our renewable energy portals. DALLAS, TX and FORT WORTH, TX - December 16, 2010 (Investorideas.com renewable energy/green newswire) - EVCARCO (OTCBB: EVCA) (Pinksheets:EVCA) and its Board of Directors today announces the appointment of Mack Sanders as the new Chief Executive Officer (CEO). Mr. Sanders, a 28 year veteran of the automobile industry, will help the company in its efforts to facilitate future acquisitions, franchise development, and its growth potential in the United States. EVCARCO is being publicly traded on the (OTC.BB:EVCA) (Pinksheets:EVCA). This release contains forward-looking statements that reflect EVCARCO Inc. plans and expectations. In this press release and related comments by Company management, words like "expect," "anticipate," "estimate," "forecast," "objective," "plan," "goal" and similar expressions are used to identify forward-looking statements, representing management's current judgment and expectations about possible future events. Management believes these forward-looking statements and the judgments upon which they are based to be reasonable, but they are not guarantees of future performance and involve numerous known and unknown risks, uncertainties and other factors that may cause the Company's actual results, performance, achievements or financial position to be materially different from any future results, performance, achievements or financial position expressed or implied by these forward-looking statements. PRINCETON, N.J. & TEMPE, Ariz.--(www.investorideas.com renewable energy/green newswire ) -- NRG Energy, Inc. (NYSE:NRG) and First Solar, Inc. (Nasdaq:FSLR ) announced that NRG, through its wholly owned subsidiary, NRG Solar, has agreed to acquire the 290-megawatt (MW) Agua Caliente solar project from First Solar. The project is scheduled to be completed by 2014 and has a 25-year power purchase agreement with Pacific Gas and Electric Company. When completed, Agua Caliente is expected to be the largest operational photovoltaic (PV) site in the world. Located in Yuma County, AZ, the Agua Caliente project is expected to generate state and local tax revenues, provide wages for up to 400 construction jobs and create economic benefits for many local businesses. At full capacity, NRG estimates the 290 MW project will provide clean, zero-emission electricity for more than 225,000 homes. The project is expected to offset approximately 5.5 million metric tons of CO2 over 25 years, the equivalent of taking over 40,000 cars off the road annually. Agua Caliente will generate electricity with no air emissions, no waste production and no water consumption. An application has been submitted to the U.S. Department of Energy for a federal loan guarantee in connection with the financing of the project, which is expected to be one of the first in the U.S. to start construction under the program. Closing of the acquisition is contingent on receiving the federal loan guarantee. NRG plans to invest up to $800 million of equity in the project through 2014 through a potential combination of cash on hand in addition to third-party investor equity. Situated on 2,400 acres of land between Yuma and Phoenix, AZ, the Agua Caliente project has secured all necessary permits for construction and the early construction phases have begun. First Solar has developed the project and is the engineering, procurement and construction contractor, using its advanced thin-film PV modules. First Solar will provide operations and maintenance services. The Agua Caliente solar project is the latest in a series of clean energy advancements NRG has made in Arizona this year. In June, NRG purchased the district energy system in Phoenix, NRG Energy Center Phoenix, that produces and distributes chilled water to customers in the Phoenix central business district as well as operating and maintaining district energy/combined heat and power plants for Arizona State University and in Tucson. In September, NRG began an initiative with Kennedy Partners to develop solar arrays for Arizona schools to meet their own electricity needs while providing new teaching tools and shade for parking. NRG is also developing a 25 MW solar photovoltaic project for Tucson Electric Power to help meet the energy demands of the state with renewable energy. NRG Solar is a subsidiary of NRG Energy, Inc., a Fortune 500 and S&P 500 Index company that owns and operates one of the country’s largest and most diverse power generation portfolios. Headquartered in Princeton, NJ, the Company’s power plants provide nearly 26,000 megawatts of generation capacity—enough to supply nearly 21 million homes. NRG’s retail businesses, Reliant Energy and Green Mountain Energy Company, combined serve more than 1.8 million residential, business, commercial and industrial customers. With investments in solar, wind and nuclear power, as well as electric vehicle infrastructure, NRG is working to help America transition to a clean energy economy. More information is available at http://www.nrgenergy.com/. This news release contains forward-looking statements within the meaning of Section 27A of the Securities Act of 1933 and Section 21E of the Securities Exchange Act of 1934. Such forward-looking statements are subject to certain risks, uncertainties and assumptions and include NRG’s expectations regarding the Agua Caliente Solar Project and forward-looking statements typically can be identified by the use of words such as “will,” “expect,” “believe,” and similar terms. Although NRG believes that its expectations are reasonable, it can give no assurance that these expectations will prove to have been correct, and actual results may vary materially. Factors that could cause actual results to differ materially from those contemplated above include, among others, general economic conditions, hazards customary in the power industry, weather conditions, competition in wholesale power markets, the volatility of energy and fuel prices, failure of customers to perform under contracts, changes in the wholesale power markets, changes in government regulation of markets and of environmental emissions, unanticipated outages at our generation facilities, the failure to receive a loan guarantee from the U.S. Department of Energy or the inability to access other financing arrangements, the inability to implement value enhancing improvements to plant operations and companywide processes, our ability to create and maintain successful partnering relationships. NRG undertakes no obligation to update or revise any forward-looking statements, whether as a result of new information, future events or otherwise. The foregoing review of factors that could cause NRG’s actual results to differ materially from those contemplated in the forward-looking statements included in this news release should be considered in connection with information regarding risks and uncertainties that may affect NRG’s future results included in NRG’s filings with the Securities and Exchange Commission at www.sec.gov. First Solar manufactures solar modules with an advanced semiconductor technology and provides comprehensive photovoltaic (PV) system solutions. The company is delivering an economically viable alternative to fossil-fuel generation today. From raw material sourcing through end-of-life collection and recycling, First Solar is focused on creating cost-effective, renewable energy solutions that protect and enhance the environment. For more information about First Solar, please visit http://www.firstsolar.com. Sign up for the free investor news letter and get stock alerts in leading sectors! Research Renewable Energy and water stocks as an Investor Ideas member and gain access to global green stock directories. Become an Investorideas.com member and research stocks and invest in cleantech : get login access to all 4 cleantech stock directories including water stocks and renewable energy stocks : http://www.investorideas.com/membership/. CAMPBELL, Calif., Dec. 15, 2010 (www.investorideas.com renewable energy/green newswire ) -- Akeena Solar, Inc. d/b/a Westinghouse Solar, (Nasdaq:WEST ), a manufacturer and distributor of solar power systems, today provided a fourth quarter 2010 business update. On September 10, 2010 Westinghouse Solar announced it would be expanding its distribution business to include sales of its Westinghouse Solar Power Systems directly to dealers in California, and exiting its solar panel installation business. The company provided guidance on October 28 that it anticipated sequential revenue growth for its distribution business of approximately 40-50% in the fourth quarter of 2010 as compared to the third quarter. "We are encouraged by the pace of sales in the fourth quarter and we are confident that we will see sequential revenue growth in excess of 50%," said Barry Cinnamon, CEO of Westinghouse Solar. "Our agreement with Real Goods Solar to become an authorized Westinghouse Solar installer jump-started our California distribution business as they are installing Westinghouse Solar systems in the fourth quarter on projects we transferred to them, and are selling new systems that will be installed in 2011. We continue to add new dealers both within California and in the rest of the country, and our network of installers is now over 130 independent solar dealers extending into 34 states plus Canada. "So far, we are seeing positive signs that the distribution business should prove to be as scalable as we anticipated when we made the decision to exit the installation business. We are also continuing discussions with new strategic distribution partners to increase our top line sales, and supplier partners to reduce our costs. We continue to anticipate that our cash operating expenses for continuing operations will be approximately $1.5 -- 1.6 million in the fourth quarter. In addition, our efforts to protect our solar panel installation technology are evidenced by the latest patent we received from the U.S. Patent and Trademark Organization," concluded Cinnamon. Westinghouse Solar is a manufacturer and distributor of solar power systems. Award winning Westinghouse Solar Power Systems provide a leading combination of safety, performance and reliability, while backed by the proven quality of the Westinghouse name. For more information on Westinghouse Solar, visit http://www.westinghousesolar.com/. Statements made in this release that are not historical in nature, including those related to future revenue, revenue growth, operating expense rates and cost reductions, and product offerings in future periods, constitute forward-looking statements within the meaning of the Safe Harbor Provisions of the Private Securities Litigation Reform Act of 1995. Forward-looking statements can be identified by the use of words such as "expects," "projects," "plans," "will," "may," "anticipates," believes," "should," "intends," "estimates," and other words of similar meaning. These statements are subject to risks and uncertainties that cannot be predicted or quantified, and our actual results may differ materially from those expressed or implied by such forward-looking statements. Such risks and uncertainties include, without limitation, risks associated with the inherent uncertainty of future financial results, additional capital financing requirements, development of new products by us or our competitors, the effectiveness, profitability, and marketability of such products, our ability to protect proprietary rights and information, the impact of current, pending, or future legislation, regulation and incentive programs on the solar power industry, the impact of competitive products or pricing, technological changes, our ability to identify and successfully acquire and grow distribution customers, and the effect of general economic and business conditions. All forward-looking statements included in this release are made as of the date of this press release, and Akeena Solar assumes no obligation to update any such forward-looking statements. Cleantech Stock News; OPEL Solar Launches OPEL Solar Asia, Ltd.
Shelton, CT and Toronto, ON, December 15, 2010 – ( http://www.investorideas.com/ cleantech stocks blog ) OPEL Solar, Inc. (TSX-V: OPL) (“OPEL” or “the Company”), a leading global supplier of high concentration photovoltaic (“HCPV”) solar panels and other solar products including ground-based and rooftop tracker systems, today announced the formation of OPEL Solar Asia Ltd (“OSA”) in Hong Kong. OPEL Solar, Inc. in the U.S. and Ecotech Environmental Technology Ltd (“Ecotech”) based in Hong Kong, are the two partners in the joint venture (“JV”). For OPEL this represents the beginning of a long-term goal to position OPEL to enter East Asia, developing the HCPV market. In signing the agreement, OPEL Solar’s advanced HCPV technology moves into what has been deemed the fastest growing solar market in the world with years of strong growth projections ahead. The mission of OPEL Solar Asia Ltd. is to market OPEL HCPV products throughout East Asia. The primary country targeted for CPV market penetration is China. “With Ecotech, OPEL Solar found a well-established partner to advance our business into East Asia. In fact, according to a recent posting on New Energy World Network, China’s photovoltaic market is one of the largest in the world and has a robust growth projection,” said Frank Middleton, COO of OPEL Solar, Inc. “OPEL chose to enter this market with Ecotech because of their profound regional knowledge and client base, with the added advantage that since Ecotech is established, it serves to minimize our start-up expense,” Frank added. In addition to the initial 2MW order for OPEL Solar’s HCPV products, it is anticipated that OPEL Solar Asia will continue a vigorous ordering stream. “The establishment of OPEL Solar Asia with its anticipated order projection represents significant value growth for OPEL Solar’s stakeholders,” said Leon M. Pierhal, CEO of OPEL Solar Inc. “Such a burgeoning CPV solar market in East Asia may bring to OPEL revenues approaching $100 million over the next four to five years. The decision to pursue a joint venture strategy to enter East Asia is one of the most important decisions we have made to support the rapid growth of the Company,” Pierhal further stated other worldwide joint ventures are in various stages of negotiations for 2011. “We believe OPEL Solar has proven technology and a good product for the CPV market in East Asia. Ecotech is honored to be OPEL Solar’s JV partner in penetrating this market. There are challenges ahead but the chance of capturing market opportunities in this region is very real. We will work hand in hand with OPEL Solar and our strategic partners and customers in China to realize these goals,” said Michael Lam, Chairman of Ecotech and Chairman & CEO of the E&K Holdings Group. The OPEL Solar products shipped for the 2MW order will open the door for local manufacturing by OSA, as Ecotech has an established network of local manufacturers. Once the manufacturing processes attain solid efficiency, OSA will assume the full manufacturing process to install complete HCPV utility grade solar farms. About OPEL Solar International Inc. and OPEL Solar, Inc.
With OPEL Solar, Inc. operations headquartered in Shelton, CT and the headquarters office in Toronto, Ontario, Canada, OPEL designs, manufactures and markets high performance concentrating photovoltaic (“HCPV”) panels to transform solar energy into electricity for worldwide application. OPEL’s high performance photovoltaic concentrating panels generate up to 40% more kilowatt-hours than conventional flat plate silicon solar panels, resulting in more cost effective electricity generated from the sun. OPEL also markets a complete line of dual and single axis solar trackers to mount solar panels for the optimum power output. OPEL designs infrared sensor type products for military, consumer, industrial and commercial applications. A leader in gallium arsenide and solar concentrating photovoltaic technology, the Company has been awarded 33 patents and has 17 more patents pending. OPEL’s common shares trade on the TSX Venture Exchange under the symbol “OPL”. For more information about OPEL, please visit the Company’s website at www.opelinc.com. News and Stories Published at www.investorideas.com Clean Energy Stocks Blog for Green Investors: Research Renewable Energy and water stocks as an Investor Ideas member and gain access to global green stock directories. Become an Investorideas.com member and research stocks and invest in cleantech : get login access to all 4 cleantech stock directories including water stocks and renewable energy stocks : http://www.investorideas.com/membership/. LOS ANGELES, CA- December 3, 2010 (Investorideas.com renewable energy/green newswire) - New solar power technologies, reopening closed oil wells, advanced algae center, register your Twitter name; this week on MoneyTV with Donald Baillargeon. MoneyTV is the internationally syndicated television program all about money and what makes it happen, (http://www.moneytv.net), featuring informative interviews with company CEOs, providing insights into their operations and outlooks for their futures. Solar3D, Inc. (OTC.BB:SLTD) CEO James Nelson talked about the amount of solar power conventional solar panels lose and how his company's 3D design provides superior capture technology. GoIP Global, Inc. CEO Ike Sutton announced a new program aimed at Twitter users. OriginOil, Inc. (OTC.BB:OOIL) CEO Riggs Eckelberry announced the company has been selected to build an advanced algae center in New Mexico. Lucas Energy, Inc. (AMEX:LEI) CEO William Sawyer announced new developments which he said would result in enhanced revenue. XsunX, Inc. (OTC.BB:XSNX) CEO Tom Djokovich displayed a new CIGS solar cell and explained the company's advantages to potential manufacturing licensees. RBC Wealth Management Senior VP Irwin Shapiro analyzed the bond market. MoneyTV television program, Copyright MMX, all rights reserved. MoneyTV does not provide an analysis of companies' financial positions and is not soliciting to purchase or sell securities of the companies, nor are we offering a recommendation of featured companies or their stocks. Information discussed herein has been provided by the companies and should be verified independently with the companies and a securities analyst. MoneyTV provides companies a 3 to 4 month corporate profile with multiple appearances for a cash fee of $11,500.00 to $17,250.00, does not accept company stock as payment for services, does not hold any positions, options or warrants in featured companies. The information herein is not an endorsement by Donald Baillargeon, the producers, publisher or parent company of MoneyTV. XsunX is pioneering a new manufacturing process to produce low cost, high efficiency thin-film CIGS solar cells through the combination of thin-film photovoltaic (TFPV) process knowledge with select magnetic media thin-film manufacturing technologies pioneered in the hard disc drive industries. The company believes that leveraging small area and high rate production methods will reduce the processing defects plaguing large-scale production processes currently implemented in the marketplace. The Company's offering license manufacturing opportunities for this technology to regional manufacturers. For more information please call XsunX at 888-797-4527, or visit the company's website at www.xsunx.com. Disclosure, Disclaimer/ XSNX is a paid advertising client on Investorideas.com and our renewable energy portals. growth in the green stocks sector. energy, water and energy stocks. stocks symbol(s), company’s URL and company’s description. most comprehensive directories in the sector available. symbol(s), company's URL and company's description. stocks symbol(s), company's URL and company's description. company's URL and company's description. and stock directories in renewable energy, homeland security and water sectors. including China, India, Middle East and Australia. companies is sourced from public documents and/ or the company and is not the opinion of our web sites. 11.23.2010– REDWOOD CITY, Calif.: The Cleantech Open today released the complete list of winners that were announced at the 2010 Cleantech Open National Awards Gala and Expo. Dubbed the "Academy Awards of Clean Technology," the event marked the grand finale of the Cleantech Open's yearlong National Business Competition, as well as the culmination of the Cleantech Open Global Ideas Competition, which included entries from the winners of national Cleantech Open competitions in 20 countries, including the United States. Hundreds attended the daylong festival of cleantech innovation and entrepreneurship in San Jose, which was attended by the movers and shakers of the fast-growing cleantech industry -contestants, alumni teams from previous years, mentors, venture capitalists, and sponsors. Selected from the five regional winners of the prestigious Cleantech Open Business Competition, the National Grand Prize was awarded to Puralytics of Beaverton, Oregon. Puralytics was recognized by the judges for its development of photochemical water purification products designed for critical contaminants such as petrochemicals and pharmaceuticals. Unlike most current water purification technologies, which can create known health risks or return all of the sequestered contaminants back to the environment, Puralytics uses light (from LEDs or natural sunlight) to create processes that totally remove contaminants from the environment without any wastewater or chemicals. Initially targeting industrial and commercial facilities, the company aims to expand to provide a solution for water treatment in small communities and remote rural areas. Mark Owen, CEO of Puralytics, said the idea for Puralytics occurred to him during a trip to Tokyo, where he noticed sunlight-activated, self-cleaning windows. "I wondered if it would be possible to take the light of the sun, and the surface area of a building, and put them in a can to purify water. This became the seed of an idea that now involves multiple wavelengths of LED light that illuminate a high-surface-area nanotechnology coating to cause five photochemical reactions that purify water of heavy metals, microorganisms, and organic chemicals." Puralytics' technology addresses an emerging need, according to Owen, and the Cleantech Open has already opened doors for his company. "Water quality is a growing problem in our world today, and removing organic contaminants is the greatest unmet need. We are excited that the Cleantech Open committee recognizes, with us, this important business, environmental, and societal problem. This award is great validation to our team and our investors, and will help us move forward to the next level in our business. Through the Cleantech Open we've already met customers, channel partners, investors, and advisors, and this National Award has put these new networks in overdrive." The judges also nominated two runners-up for the National Grand Prize: OnChip Power of Boston for its high-efficiency, miniaturized power-supply technology; andEarthClean of Minneapolis for its non-toxic and readily biodegradeable fire suppressant. Meanwhile, audience members used SMS voting to select the People's Choice Business Competition winner from all 18 finalists: Silicon Solar Solutions, with its large-grain, polysilicon technology that reduces the material needed to manufacture solar cells, while increasing the power they can generate. Note to editors: interviews and presentations from several Cleantech Open startup companies are available on the Cleantech Open YouTube channel. "We were delighted with the very high quality of entrants in this year's competitions, something that shone through at the Awards Gala," said Rex Northen, executive director of the Cleantech Open. "Judges and audience members found it extremely hard to pick a single winner from such a strong lineup. Congratulations to the winners and finalists, and many thanks to the volunteers around the world who have worked so hard to find and promote the success of promising technologies that will address our most challenging environmental and economic problems." For 2010, Chevron signed on as a Global Partner of the Cleantech Open, providing expert counsel to some teams and welcoming all semifinalists for a day of networking and training at its San Ramon, Calif. campus. "We've seen a broad range of business value come out of the inaugural year of our partnership with the Cleantech Open," said Russ Yarrow, general manager of Corporate Affairs for Chevron. "It's given us a platform for a longer view into emerging technologies, helping us to continue innovating our global energy future." Each year, the 2010 Alumni Award recognizes a Cleantech Open Alumnus that has achieved significant momentum during the year. This year, the Alumni award, which is sponsored by CalCEF, went to Mission Motors, the Transportation category winner in the 2007 Cleantech Open Business Competition. The sustainability factor of the technologies and ideas of the teams that enter the Cleantech Open is given additional scrutiny by the mentors and judges, and each team receives specific mentoring to ensure this critical attribute is baked into each team's plan and investor pitch. This year's National Sustainability award, which was presented by Autodesk, goes to BioVantage Resources, for its algae-based wastewater treatment technology. Autodesk additionally supports early-stage clean technology companies through the Autodesk Clean Tech Partner Program, which provides powerful design and engineering software to accelerate their development of solutions to the world's most pressing environmental challenges. For the second year, cleantech innovations from around the world were featured at the Cleantech Open. The Global Cleantech Open Ideas Competition looks to find 'big ideas' by working at a grassroots level and to support and foster those ideas. Orchestrated in conjunction with the Kauffman Foundation, startups from around the world competed for a prize worth $100,000 in startup services. Entries were received from 20 countries, 14 of which traveled to attend the Cleantech Open Gala and Expo in San Jose. Five teams were presented to the audience, who voted Abeo of Denmark the winner, with its patented Super-Light Structure technology that aims to reduce the energy and materials needed in building construction. Now in its fifth year, the 2010 Cleantech Open National Business Competition was expanded this year from three to five regions: California, Pacific Northwest, Rocky Mountain, North Central, and Northeast. In March of this year, 271 teams submitted entries to compete, of which 81 made it to the semifinals, and 18 of those teams became regional finalists, eligible to compete in the national finals. Each of these regional finalists receives a prize package worth $30,000 in cash and services. At the national finals, a judging panel of 11 experts selected one winning team from each region to represent that region in the final round of judging: PureSolar(California), Puralytics (Pacific Northwest), INOTEC (Rocky Mountain), EarthClean(North Central), and OnChip Power (Northeast). Each of these regional winners receives an additional prize package worth $10,000 in cash and services. In the final round of judging, a national winner was selected for the Grand Prize. Puralytics, the Grand Prize Winner, receives an additional $250,000 in cash and services (of which $100,000 is awarded in the form of a seed investment from a consortium of investors: Wilson Sonsini Investment Company, Stiefel Family Foundation, and the Cleantech Open). 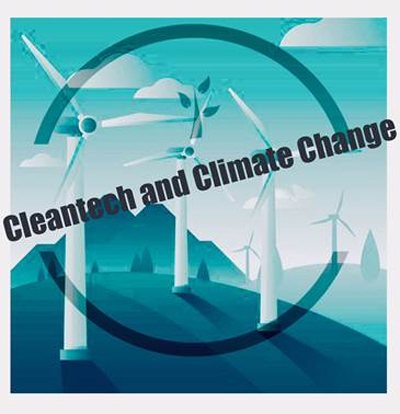 The Cleantech Open is made possible by the generous support provided by Global Partner, Chevron; Global Foundation Partner, Ewing Marion Kauffman Foundation; National Sponsor, Autodesk; Multi-Regional Gold Sponsor, Wells Fargo. The California region is additionally supported by Platinum Sponsors Pacific Gas & Electric and Wilson Sonsini Goodrich & Rosati. The North Central and Rocky Mountain regions are additionally sponsored by Platinum Sponsor Faegre & Benson. The Pacific Northwest region is additionally sponsored by Platinum Sponsor Wilson Sonsini Goodrich & Rosati. The Cleantech Open runs the world's largest cleantech business competition and the first ever global cleantech ideas competition. Its mission is to find, fund and foster entrepreneurs with big ideas that address today's most urgent energy, environmental and economic challenges. The program provides the infrastructure, expertise and strategic relationships to turn ideas into successful global cleantech companies. Since 2006, through its one-of-a-kind annual business competition and mentorship program, the Cleantech Open has helped hundreds of clean technology startups bring their breakthrough ideas to fruition, helping alumni contestants raise more than $280M and creating an estimated 2,000 green collar jobs. Fueled by a network of more than 1,000 volunteers and sponsors, the Cleantech Open unites the public and private sectors in a shared vision for making America's cleantech sector a thriving economic engine. Cleantech Open website - blog - YouTube channel -Facebook - LinkedIn - Twitter: @cleantechopen. Cleantech green stocks - become a showcase green stock at www.investorideas.com - a leader in cleantech investor research for as little as $1000 month. DALLAS, TX and FORT WORTH, TX and HONOLULU, HI - November 16, 2010 (Investorideas.com renewable energy/green newswire) - EVCARCO (OTCBB: EVCA) (Pinksheets:EVCA) and its Board of Directors are proud to announce that EVCARCO franchise registration has became effective in the State of Hawaii. The Board received notice that the Department of Commerce and Consumer Affairs for the State of Hawaii has cleared the Company's franchise program. The Department of Commerce and Consumer Affairs for the State requires all franchisors submit filings of their Federal Disclosure Documents (FDD) for review and approval under the Hawaii Franchise Investment Act, Hawaii Revised Statutes, Chapter 482E. EVCARCO's strategy of expansion through franchising will aid in establishing EVCARCO as pioneers of the automotive industry's newest segment of alternative fuel vehicle sales and distribution. EVCARCO completed its Federal Disclosure Documents (FDD) and is now currently eligible to franchise in Alabama, Alaska, Arizona, Arkansas, Colorado, Connecticut, Delaware, Florida, Georgia, Hawaii, Idaho, Iowa, Kansas, Kentucky, Louisiana, Maine, Massachusetts, Mississippi, Missouri, Montana, Nevada, New Hampshire, New Jersey, New Mexico, North Carolina, Nebraska, Ohio, Oklahoma, Oregon, Pennsylvania, South Carolina, Tennessee, Texas, Utah, Vermont, West Virginia, and Wyoming. In order to complete the Federal Trade Commission's regulatory requirements and individual state requirements, EVCARCO retained one of the most experienced franchise attorneys in the country, Ms. Cheryl Mullin, of Mullin Law PC. The Federal Trade Commission is an independent Federal Government agency with a principal mission aimed at consumer protection. Scott O'Neal, COO of EVCARCO, stated, "We are proud to be able to expand our automotive franchise into Hawaii. We look forward to helping facilitate faster implantations of electric cars, hybrids, and alternative fuel vehicles in a state that is focused on a cleaner future." Cheryl Mullin is locally and nationally recognized in the area of franchise law. Recognized since 2007 as one of the best lawyers in America in the area of franchise law, since 2007 by D MAGAZINE as one of the best franchise lawyers in Dallas, and since 2004 by FRANCHISE TIMES as one of the top "Legal Eagles" in franchising, Cheryl leads a team that represents and counsels both new and experienced franchisors in matters ranging from regulatory compliance to dispute resolution. If you have any questions regarding information in this press release please contact the company listed in the press release. Disclaimer: The following news is paid for and /or published as information only for our readers. Investorideas.com is a third party publisher of news and research .Our sites do not make recommendations, but offer information portals to research news, articles, stock lists and recent research. Nothing on our sites should be construed as an offer or solicitation to buy or sell products or securities. This site is currently compensated by featured companies, news submissions and online advertising. Aliso Viejo, CA – November 9, 2010 (Investorideas.com renewable energy/green newswire) - XsunX, Inc. (OTC Bulletin Board:XSNX.OB), the developer of hybrid, thin-film photovoltaic (TFPV) solar cell technologies and manufacturing processes, today announced it has further enhanced the conversion efficiency levels of its cell devices to 15.1 percent based upon the Company's CIGSolar™ technology. With other market-ready thin-film technologies functioning within the range of 8-11 percent for solar modules, the CIGSolar™ technology illustrates conversion efficiency that may soon lead to gains over current technology. "The rate at which we're experiencing percentage point gains is truly incredible considering only weeks ago we announced surpassing 14 percent conversion efficiency," said Tom Djokovich, CEO, XsunX, Inc. "Our confidence that small area co-evaporation processes is the key to delivering the best performance CIGS thin-film cells continues to be strengthened." CIGS thin-film researchers have concluded the theoretical limit for CIGS solar technology tops at 29 percent conversion efficiency, although the highest percentage ever achieved was 20 percent in a laboratory setting. "It's important to remember that we are developing our technology on the same size substrates we intend to use in our commercial systems, about the same size as a silicon solar cell, so the efficiency levels we achieve in the laboratory we believe will be transferable to what we can offer the market," adds Tom. "Unlike current solar developers, we don't anticipate having to struggle with the challenges of scaling product while maintaining laboratory efficiencies." XsunX has achieved 15.1 percent in a relatively short period of time and with less cost compared to other CIGS efforts that spanned many years and incurred significantly higher capital demands for less than similar results. This rapid success, coupled with the technology's perceived value as an alternate for the use of silicon solar cells, has accelerated the industry's interest levels which have not only led to additional license discussions for XsunX but has also allowed the Company to work towards executing its plan to develop JV License agreements to deliver the technology package through existing manufacturers. This combination of leveraging existing branded manufacturers to deliver its systems and having branded module assemblers integrate the CIGSolar™ technology into their products allows XsunX to significantly reduce the need for debt or equity financing necessary to build factories directly while also providing bankability for its technology through proven manufacturers of solar modules. Deposition of the CIGS cell layers was conducted on full size 125 mm square substrates. Test configurations used to measure efficiency are identical to that used by the National Renewable Energy Laboratory and XsunX test equipment is calibrated to the standards of the National Institute of Standards and Technology (NIST) standards. November 8, 2010 www.Water-Stocks.com, an investor and industry portal for the water sector within Investorideas.com, presents a sector close-up on water stocks , featuring news and profiles on Wescorp Energy Inc. (OTCBB: WSCE ) , Heckmann Corporation (NYSE: HEK) and Primo Water Corporation (NasdaqGM: PRMW). About Heckmann Corporation (NYSE: HEK) was created to buy and build companies in the water sector. Interested stockholders and investors can access additional information about Heckmann on the Company's web site at www.heckmanncorp.com, and in documents filed with the U.S. Securities and Exchange Commission, on the SEC's web site at www.sec.gov. Wescorp Energy Inc. (www.wescorpenergy.com) is a clean water Solutions Company focused on implementing its superior yet low cost solutions into the oil and gas production industry. WINSTON-SALEM, N.C., Nov. 5, 2010 - Primo Water Corporation (Nasdaq:PRMW) today announced the pricing of its initial public offering of 8,333,333 shares of its common stock at a price of $12.00 per share. The shares will begin trading today, Friday, November 5, 2010, on the NASDAQ Global Market under the ticker symbol "PRMW." Primo Water has granted the underwriters a 30 day option to purchase up to an additional 1,250,000 shares at the initial public offering price, less the underwriting discount, to cover over-allotments, if any. Primo Water intends to use a portion of the net proceeds of the offering to purchase assets from Culligan Store Solutions, LLC and Culligan of Canada, Ltd. related to their business of providing reverse osmosis water filtration systems that generate filtered water for refill vending machines and store-use water services in the United States and Canada. The balance of the net proceeds will be used to repay indebtedness and redeem outstanding preferred stock. Stifel Nicolaus Weisel is acting as sole book-running manager for the offering, and BB&T Capital Markets, Janney Montgomery Scott and Signal Hill are acting as co-managers. www.Water-Stocks.com, an investor portal within the InvestorIdeas.com content umbrella, offers water investors sector- close- ups, research tools, news, Blogs, online conferences, Podcasts , interviews and a directory of public companies within the water sector . Investors following the sector can find research tools, news and global water stock directory to find opportunities within the growing sector. The stock directory features water stocks ranging from desalination companies to bottled water stocks, to infrastructure, water treatment and technology as well as other sub sectors. for World Water Week to increase its coverage in the sector. News and Stories Published at www.investorideas.com Clean Energy Stocks Blog for Green Investors: Research Renewable Energy and water stocks as an Investor Ideas member and gain access to global green stock directories. Become an Investorideas.com member and research stocks and invest in cleantech : get login access to all 4 cleantech stock directories including water stocks and renewable energy stocks : http://www.investorideas.com/membership/. Disclaimer: this is not a solicitation to buy or sell stocks, or an endorsement for any company. Cleantech green stocks - become a showcase green stock at www.investorideas.com - a leader in cleantech investor research for as little as $1000 month. DALLAS, TX - October 21, 2010 (Investorideas.com renewable energy/green newswire) - EVCARCO (OTCBB: EVCA) (OTCQB: EVCA) confirmed today that it has solidified its agreement with "THE Search Firm," a leading automotive consulting and dealership brokerage firm in the nation. The agreement will help facilitate future acquisitions for the company and identify manufacturers with growth potential. Jason Poucher, Founder and President, established THE Search Firm to provide executive level consulting to the automotive industry. The company has since evolved into one of the leading automotive brokerage and consulting firms in the nation. THE Search Firm has a very robust, customized database that enables their employees and consultants to provide pure, updated and timely information concerning trends in the automotive retailing industry. "The agreement was initiated by a corporate focus to align ourselves with major manufacturers that produce viable products with significant consumer interest to enhance our product line. The recent addition of Joshua Spivey to the Board of Directors and as Chief Investment Officer will allow the company to engage in acquisitions of profitable dealerships with forward thinking manufacturers and products," stated Scott O'Neal, COO of EVCARCO. Mr. Joshua Spivey is the founder and general partner of VOM Capital Partners, L.P., a highly successful private investment firm that specializes in the evaluation of and capitalization on financial and economic trends. EVCARCO recently announced Mr. Spivey as the new Chief Investment Officer and member of the Board of Directors. In this role Mr. Spivey will work closely with the founders and executive team of EVCARCO to manage the organization's assets and devise strategies for growth. Richard Manuel, Vice President of THE Search Firm stated, "We are Texas Real Estate Commission approved real estate Brokers and have reciprocity in place for Oklahoma and New Mexico. Our biggest assets for EVCARCO are contacts developed over many years in face to face meetings with Dealers, Platform Presidents, property management VPs for public companies, and General Managers." Mr. Manuel added, "We help dealers, dealer groups and public companies realize their goals of expansion and profitability." THE Search Firm (www.automotivebuysell.com) was established to provide executive level consulting to the automotive industry. The company has since evolved into one of the leading automotive consulting firms in the nation by providing expertise in both the recruiting and placement arena as well as the brokerage of automotive dealerships. EVCARCO (www.evcarco.com) is the Future Driven® automotive retail group dedicated to deploying a coast-to-coast network of environmentally friendly franchised dealerships and vehicles. EVCARCO is bringing to market the most advanced clean technologies available in plug-in electric, alternative fuel, and pre-owned hybrid vehicles. EVCARCO has developed a dealer network allowing growth into most US States by 2012.